$15,000 First Home Owner's Grant Eligible + 12 Months Free Body Corporate Fees! $15,000 First Home Owner’s Grant Eligible + 12 Months Free Body Corporate Fees! This Brand New, North-East facing 2 Bedroom, 2 Bathroom, 1 Car + Study Nook modern apartment within the Savile Row complex has everything at your doorstep, being located in one of the most convenient streets in the popular suburb of Chermside. Situated within true walking distance of Westfield Chermside, Kedron-Wavell Services Club and Seventh Brigade Park, this home has it all and provides its owners with all the conveniences of lifestyle living at its best. 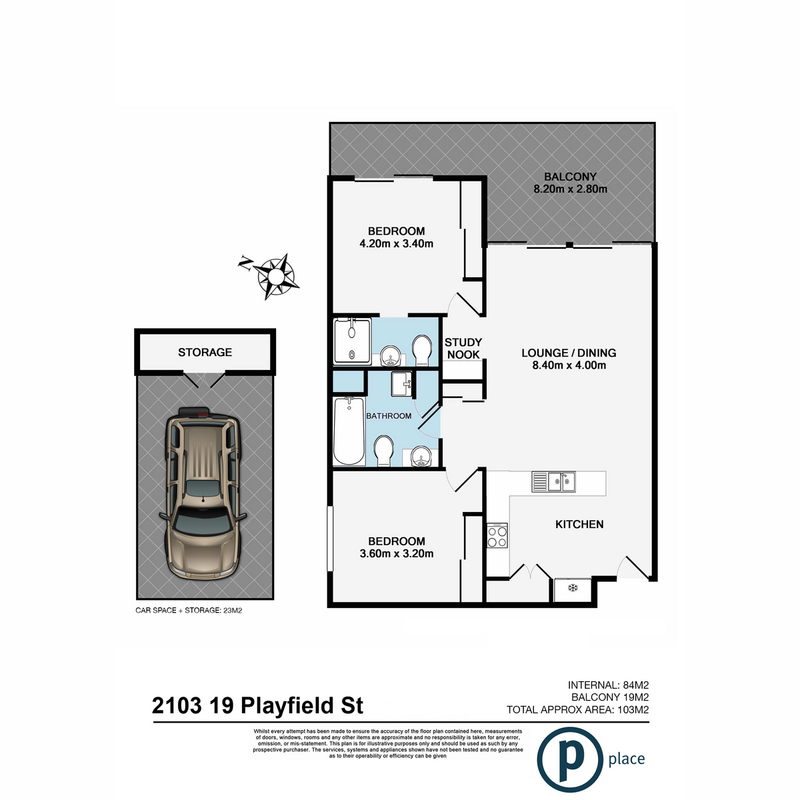 Whether you are starting out (First Home Owner’s Grant of $15,000 eligible), downsizing or an astute investor this is another quality Opalyn apartment and a real estate no brainer. – The open plan living/dining area enjoys 2.7m high ceilings allowing to filter through natural light. This area provides effortless flow from the kitchen right through to the spacious balcony and enjoys carpeted floors, ceiling light, Toshiba split system air-conditioning and blinds. > The king sized master features carpeted floors, a mirrored built-in-robe, blinds, TV connection, split system air-conditioning, its own ensuite plus access to the balcony through sliding doors. > The second bedroom features carpeted floors, blinds, ceiling fan, split system air-conditioning and a mirrored built-in-robe. > The main bathroom features a well sized vanity with plenty of storage, stone benchtop, large mirrored shave cabinet, shower-over-bath combo and a toilet. The laundry is also located in this bathroom featuring a washtub and a Fisher & Paykel dryer (Dryer has a 2 year warranty). > The private ensuite features a vanity with plenty of storage, large mirrored shave cabinet, stone benchtop, shower and a toilet. > A gloss laminate benchtop has been conveniently placed just outside of the master bedroom and features power points and internet connection. – Outdoor entertaining is a breeze thanks to the large east-facing balcony. > Outside the main bathroom is a linen cupboard. > The allocated underground carpark features a large storage cage.